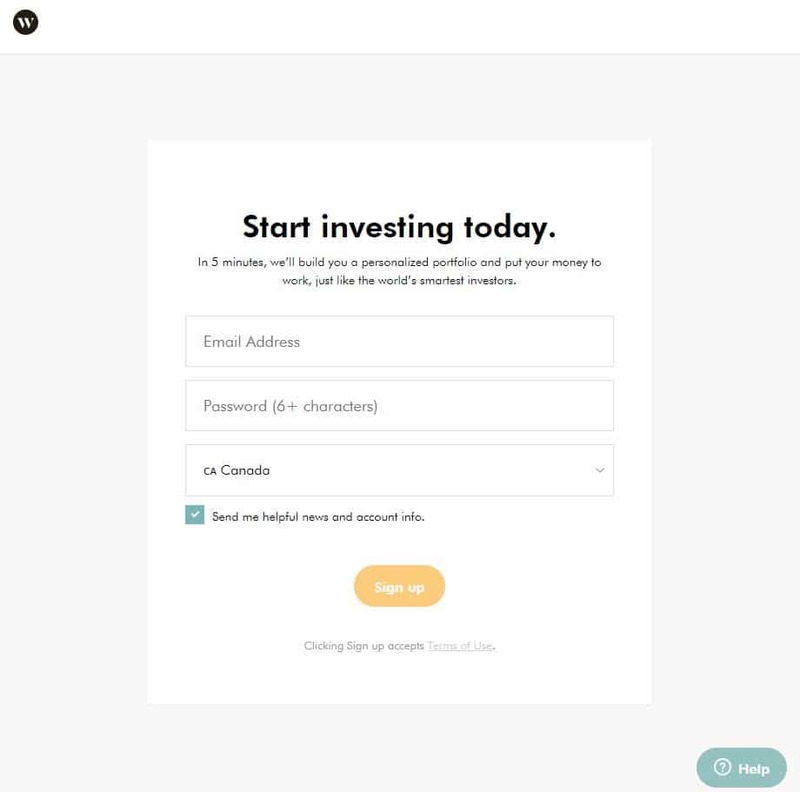 Where Does Wealthsimple Invest My Money? Platforms such as WealthSimple are emerging and providing an alternative to traditional investing. In fact, In Canada, Michael Katchen’s Wealthsimple has become the dominant ‘robo-advisor’ in a growing industry. In an interview with Forbes Magazine, Michael describes how he spent time building 1000Memories, a Silicon Valley-based startup, where he also ended up working on a spreadsheet to assist his peers in setting up investment portfolios. The project helped spur the idea of the Wealthsimple platform in 2014, which boasts being able to work entirely on a smartphone. Michael points out that traditionally, large lump sums of investment are required to get access to quality advisors. This system as such, usually has excluded a younger investor crowd from getting involved in investing. 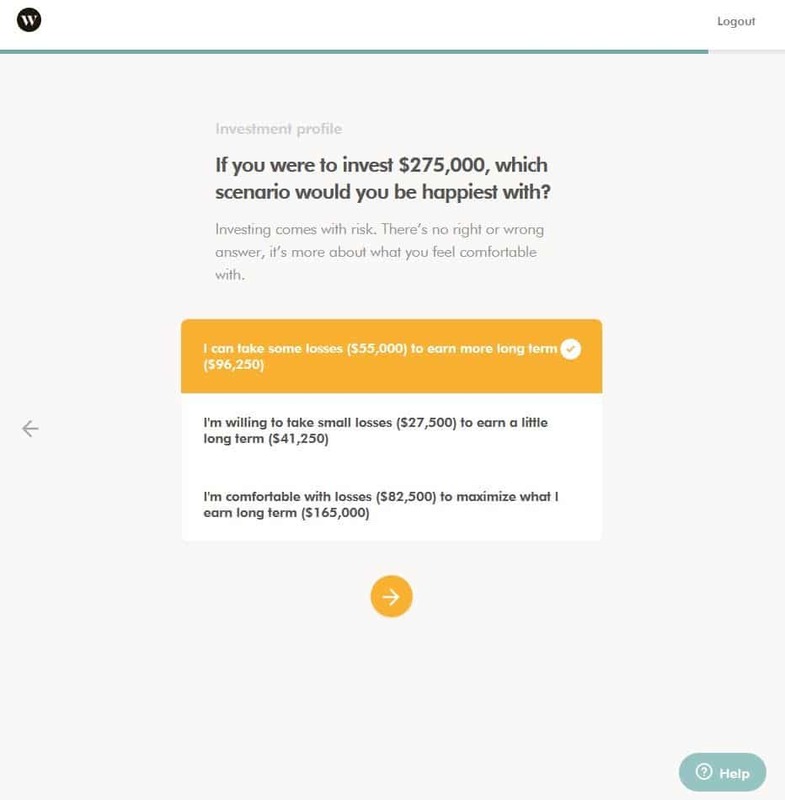 Wealthsimple aims to overcome that by removing any minimum investment quantities and allow access to quality advisors. Starting up in Toronto, Wealthsimple has grown immensely over the past four years, acquiring Canadian ShareOwner Investment Inc. The result includes over $2 billion in managed assets and over 65,000 customer accounts. 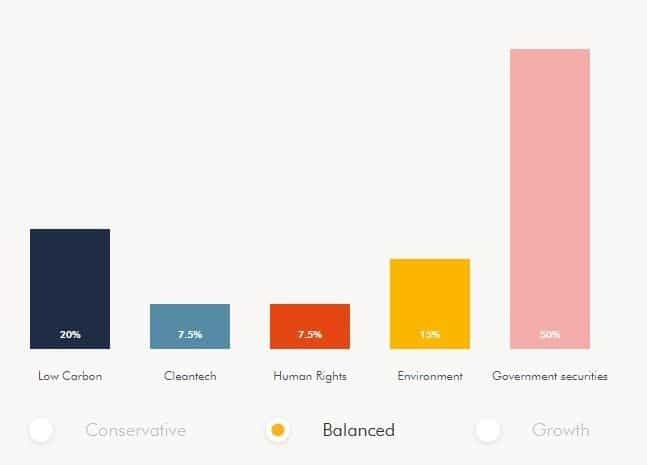 As per the Wealthsimple Trade product page, Wealthsimple companies manage over $3 billion and have over 100,000 customers. Looking to understand investing and make better use of my hard-earned money, I dove into Wealthsimple. To me, their greatest selling point was their automatic investing. Linking to an existing bank account or directly, the platform showcases projected growth over several decades. 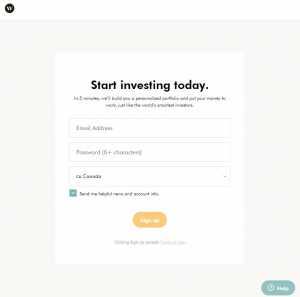 Investment is a long-game venture for me and as someone who isn’t looking to have to constantly review their investment portfolio, Wealthsimple proved a great outlet to get my foot into the world of investing. The fear of having to research individual stocks and having the real threat of making a wrong decision, and ultimately losing money is very real for beginners like myself. For that reason, the investment model of Exchange-Traded Funds (ETFs) can be a major incentive to work with Wealthsimple. With ETFs, the price of a share will change throughout the day as they are bought and sold. ETFs differ from mutual funds because shares trade like common stock on an exchange. Thus, whether you’re interested in saving for retirement, opening a Tax-Free Savings account, personal taxable account, RRIF, or LIRA, your assets are invested in a wide net. Although that may mean not making immediate profit, it also means not taking any huge, devastating losses. For a rookie in the investment world, this is a plus as it keeps investors on the journey to see the bigger picture. And really, investing is a big picture venture. In addition, once you create an account, your orientation includes a quiz to decide what kind of investment strategy is best suited for you. The assessment aims to direct you and your funds to the best investment strategy for you. 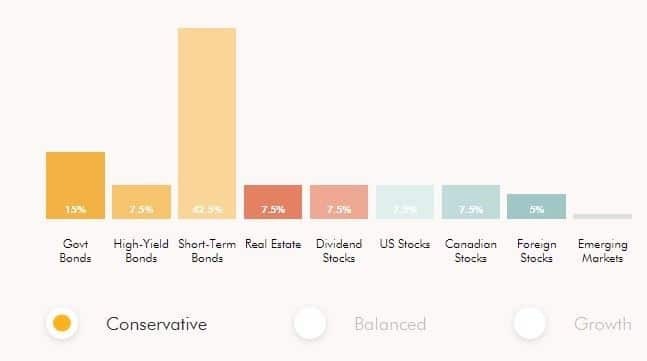 After going through the online questionnaire, the following portfolio options are presented to you: conservative, balanced, or growth. You might be asking, “Can I chose a specific portfolio type and then determine how the diversification happens?” The short answer, is no, you can’t. I guess you can say this is the double-edged sword of robo-investing. 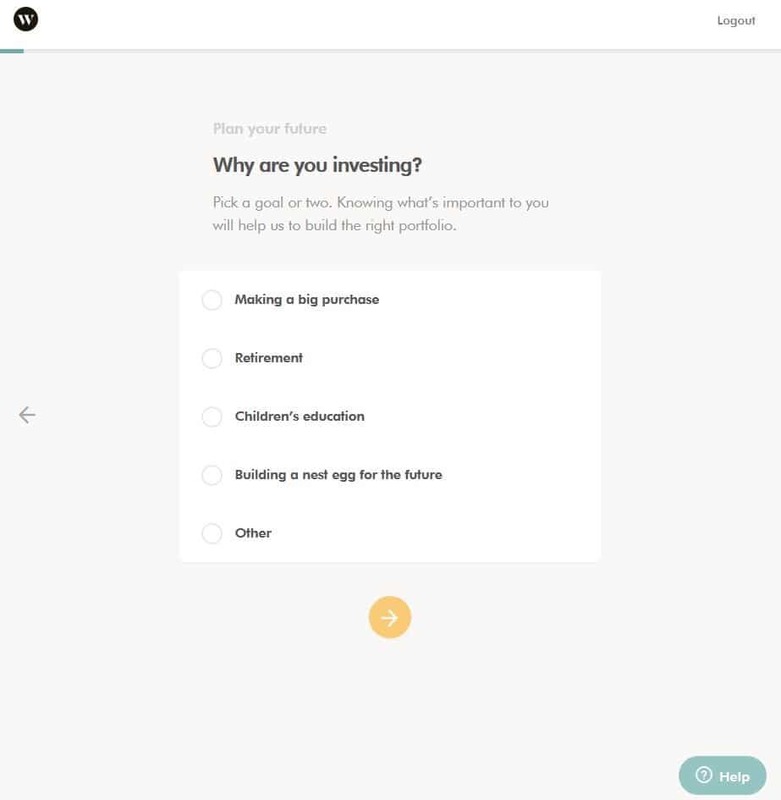 You provide your funds to Wealthsimple to invest and you aren’t able to adjust within the specific portfolio type – they invest on your behalf according to your goals. However, you can, at any point decide you want to switch from, say a growth portfolio, to the balanced one, and so on. 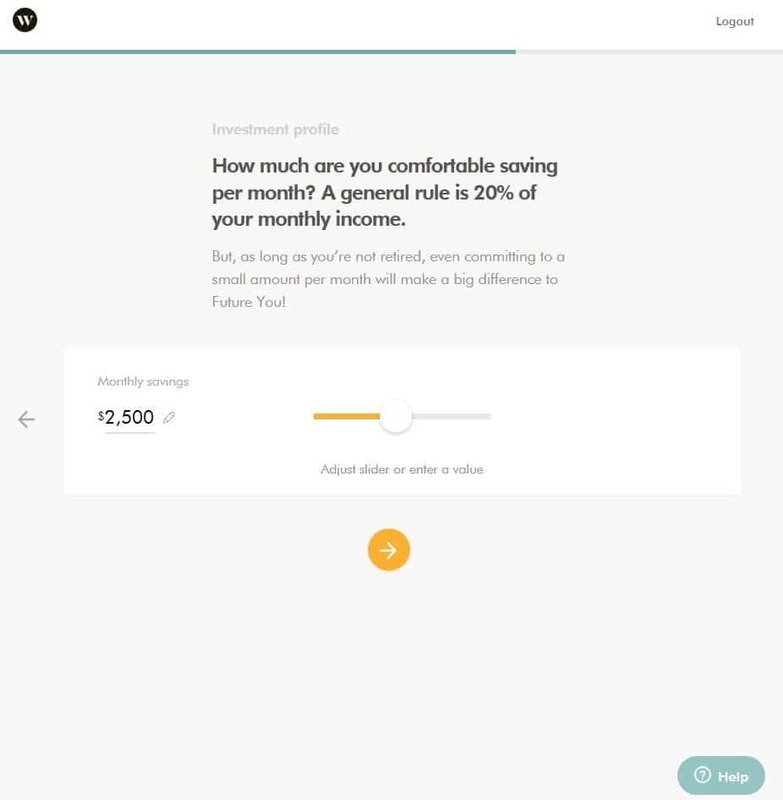 In the near future, Wealthsimple will release a new feature for single-stock investment (we’ll get into that later). 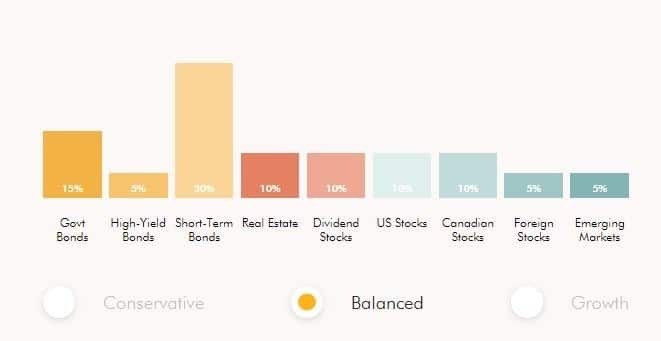 Wealthsimple aims to maximize diversification by diversifying across assets as well as diversification within those assets as well. And this is the case whether you would like to open an RRSP, TFSA, LIRA to bridge your retirement savings, RRIF, RESP, or other savings account. Wealthsimple will even work with you to manage finances and investments for your business as well. The below chart shows the different portfolios that assets fall under. 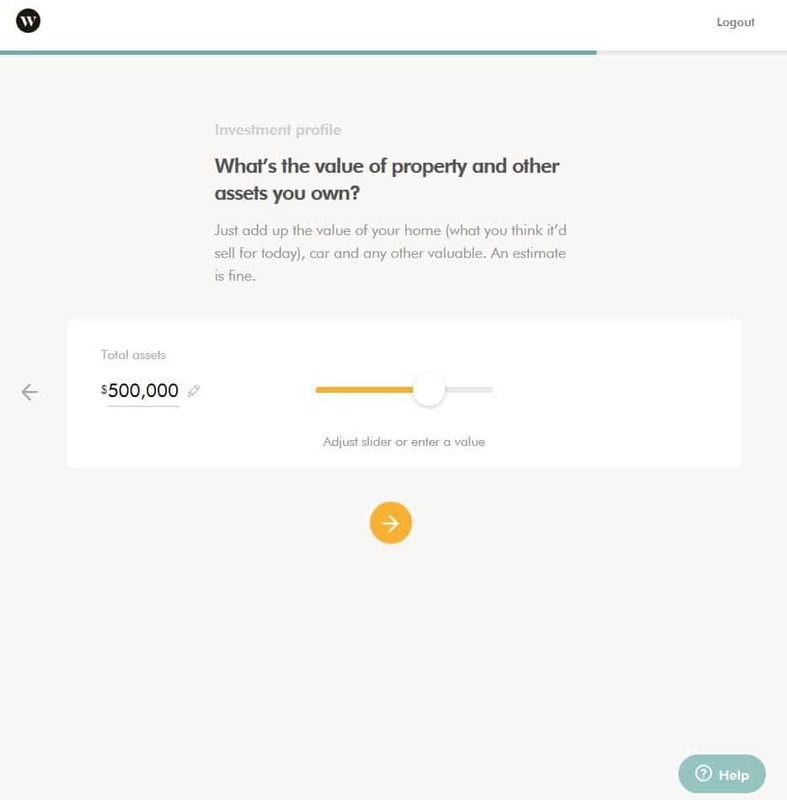 The various assets that Wealthsimple will invest in are displayed in the first column. Within those assets is an ETF that represents diversification of several assets within that one asset type. Essentially this is diversification within diversification, or widening your investment ‘net’. Moreover, the far right column shows which portfolio type corresponds to the specific asset. A more growth oriented portfolio would likely focus more of your investments in the higher risk and higher reward assets, while a more conservative portfolio would focus on the less-risky assets. Now, for a rookie, I don’t really know the individual stocks that Wealthsimple is investing in. And frankly, I don’t care. If I did, I would invest in individual stocks and not use a robo-advisor. 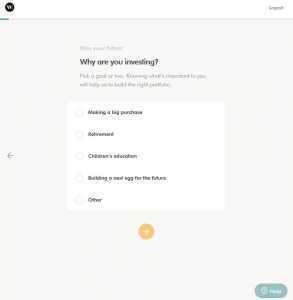 However, as someone who sees himself growing their knowledge of investing over the decades, Wealthsimple is soon to offer individual stock investment options. 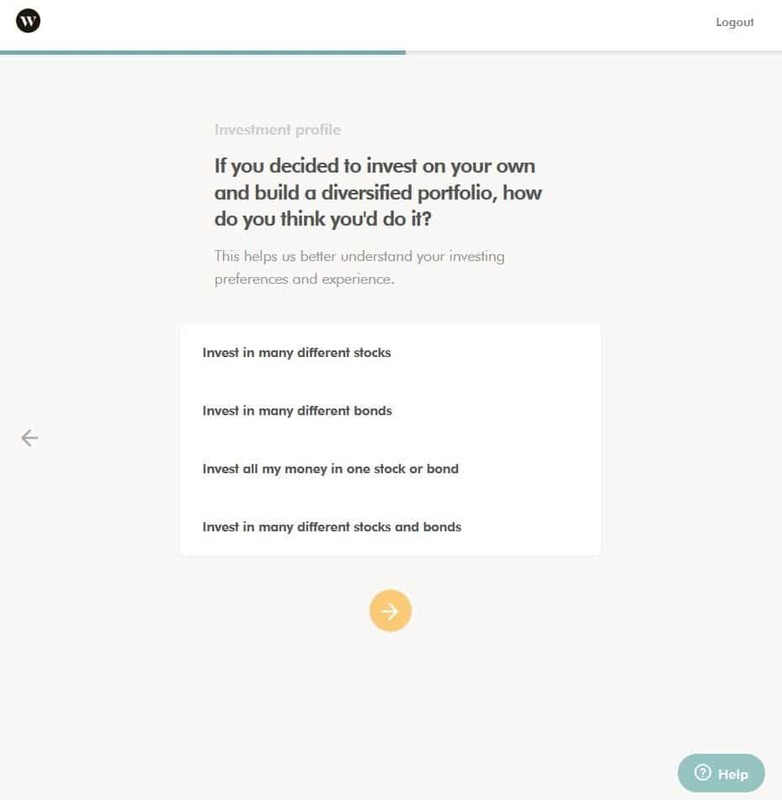 Aside from diversification and creating a portfolio based upon your needs, Wealthsimple also offers advice through both real-person portfolio reviews as well as producing a ton of informative content. They offer case studies and real life use cases of platform users along with learning resources. These resources, found in Wealthsimple’s Magazine, feature answers to common investing questions as well as advice from industry leaders. 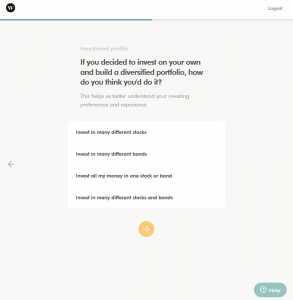 Journeys of real people and real businesses of all financial levels are showcased and created as case studies as a sort of social proof for the various services that Wealthsimple offers. From new immigrants to students to single parents and artists, the Magazine tries to showcase how people benefit from the various ‘ups’ that a no-minimum investment robo-advisor offers. Recently, Wealthsimple has introduced a single stock-trading option under their platform. Investors can now also follow individual stocks and buy/sell them. 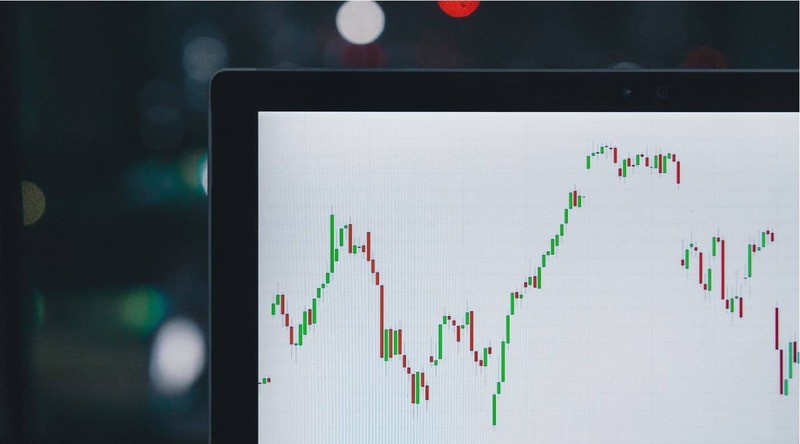 This is a sort of ‘leveling up’ experience as early users who would likely have built up a knowledge-base around investing can now use their knowledge to trade individual stocks themselves. Wealthsimple Trade is a separate entity under the Wealthsimple platform but offers some of the same benefits of its ETF-only counterpart. Users can buy both ETFs and individual stocks. In addition, there are $0 commissions by Wealthsimple and no minimum investment, providing the same unique-selling-proposition that the main platform carries over to this trading option. single stock trading under the same umbrella: Wealthsimple. This option is slowly rolling out in beta so it is not available to all users yet. Personally, earning a profit through companies that are socially responsible is important. It seems odd though to consider that investing in an automatically diversified portfolio puts you in partnership with dozens of companies (even if it is temporary, as stocks are bought and sold). It’s easy to lose sight of the fact that you are buying a portion of these companies. Keeping that in mind, for those who are socially conscious of supporting ethical organizations, the socially responsible portfolio is a great investment pathway. 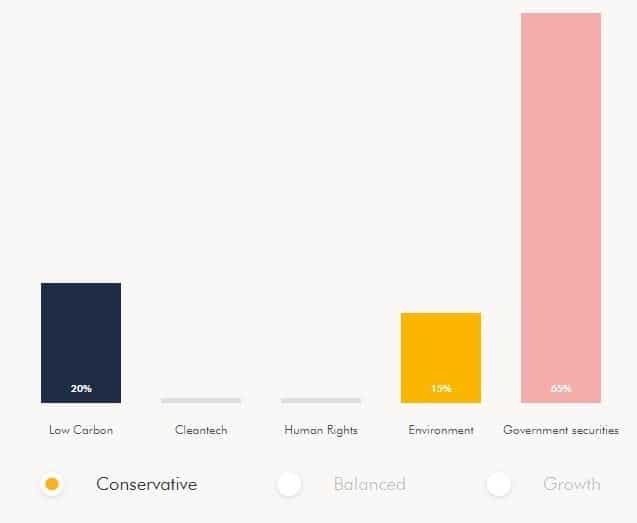 How does Wealthsimple define socially responsible? Personally, the socially responsible portfolio was very appealing. 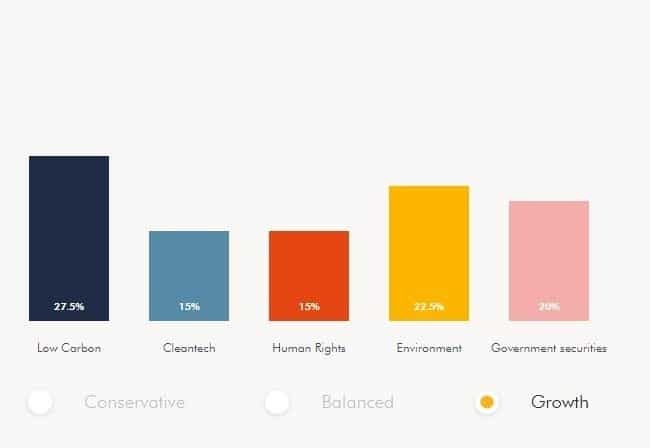 Wealthsimple has identified a growing need for investing for a variety of needs and values. It has come up with a halal investment portfolio, for Muslim investors seeking to comply with the religious values of Islamic investing. A portfolio without bonds or GICs, the halal investment portfolio helps Muslim investors stay away from profiting off of debt. Industries such as: alcohol, tobacco, gambling and weapons are excluded from this portfolio as well. Unlike other investment portfolios, the halal investment portfolio does not offer conservative, balanced, and growth options. As an all equity portfolio, the halal investment portfolio is aggressively growth-oriented. It’s important to note that the halal investing portfolio does not use ETFs. Instead, it uses individual stocks. 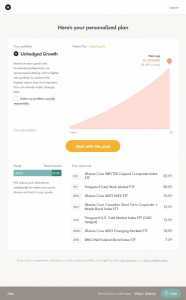 However, this portfolio is constructed similarly to an ETF, tracking the market index as a whole rather than picking individual stocks. Simple: Investing in Shariah-compliant portfolios has scarce opportunity for the average practicing-Muslim who is trying to plan their future finances. While retaining some sort of diversification of assets on an easy-to-use platform, practicing-Muslims have access to a means of financial-literacy not previously possible in Canada. What does it cost? Wealthsimple breaks down costs and fees into two major client groups. Those with investments from $0-100K, which fall in the basic usage, pay 0.5% of your total portfolio for management fees. 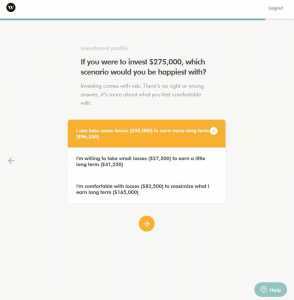 Those who are investing greater than $100K opt in to the Wealthsimple Black option. This account boasts fees of 0.4% but also offers many more options for users. 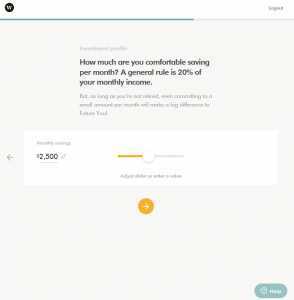 Being part of the Wealthsimple Black membership allows clients to receive in-depth, one-on-one financial planning sessions from one of Wealthsimple’s portfolio managers. As a perk, they are eligible for a Priority Pass which gives members access to over a 1,000 exclusive airport lounges across the world. February 2019 – Please check back shortly as this section is being added. 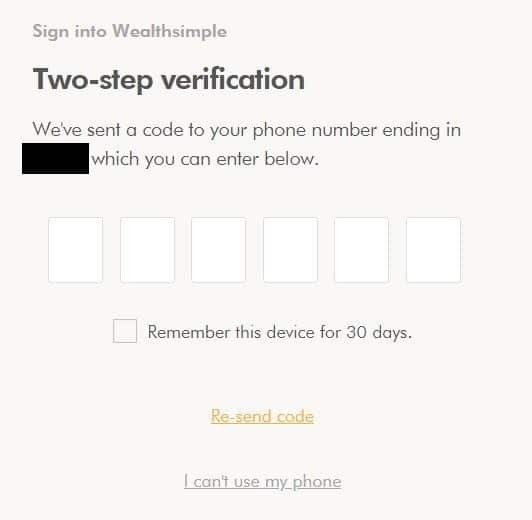 Wealthsimple relies on what is called a 256-bit SSL/TLS certificate for safe, encrypted transactions. What this means is that the encryption key that must pass and be accepted with each transaction is made up of 256 binaries (0s and 1s) with 2^256 combinations to the key. That means, 78 digit combinations. So even with one of the fastest supercomputers in the world, it would take millions of years for this code to be cracked. Need I say more? It also requires two-step login with a pin being sent to your phone each time you want to access your account. 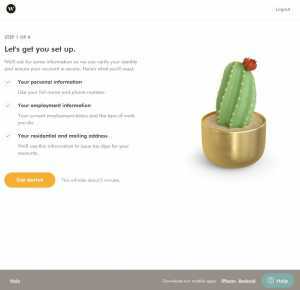 The Wealthsimple process starts with a simple ask for your email address and password but the key thing we want to call out is the statement they make that in 5 minutes they’ll have you set up and on your way – that’s one hell of a feat, compared to the days when we would have to book time with an investment advisor in a branch, go in, fill in and sign a bunch of documents after which we still don’t know where to invest. The process then advises you of the next few steps and again tells you that this will only take about 3 minutes. In a world where our attention is being pulled in many different directions, noting the amount of time it’s going to take helps us focus on completing it quickly instead of coming back to it later. They then ask for several personal details including your Citizenship, Employment details and your SIN number after which comes the exciting part – the part where they ask about your goals as seen below. What do they ask? Which type of investments have you purchased in the past? If you decided to invest on your own and build a diversified portfolio, how do you think you’d do it? Income and where it will come from? How much are you comfortable saving per month? A general rule is 20% of your monthly income. Do you currently have savings or investments? 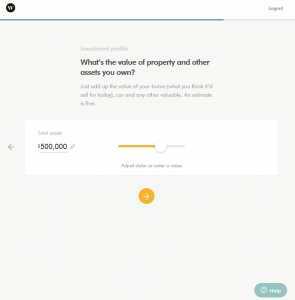 What’s the value of property and other assets you own? If you were to invest $275,000, which scenario would you be happiest with? Investing comes with risk. There’s no right or wrong answer, it’s more about what you feel comfortable with. And just like that, based on my inputs they’ve crafted out a personalized plan. From here, I can open up various types of accounts or transfer one of my existing accounts to them and I’m on my way. Takeaway: All in all, it really is a very seamless process to get started. Quite impressed. The Wealthsimple Customer Service team is available to answer any questions in regards to opening your portfolio. The company offers live phone support which is available Monday – Friday, 8 AM to 8 PM EST, or you can reach them via email at support@wealthsimple.com. Now, the question is, how well does Wealthsimple perform? Below, we breakdown the Pros, Cons, and ‘Best for’ uses for this robo-advisor. 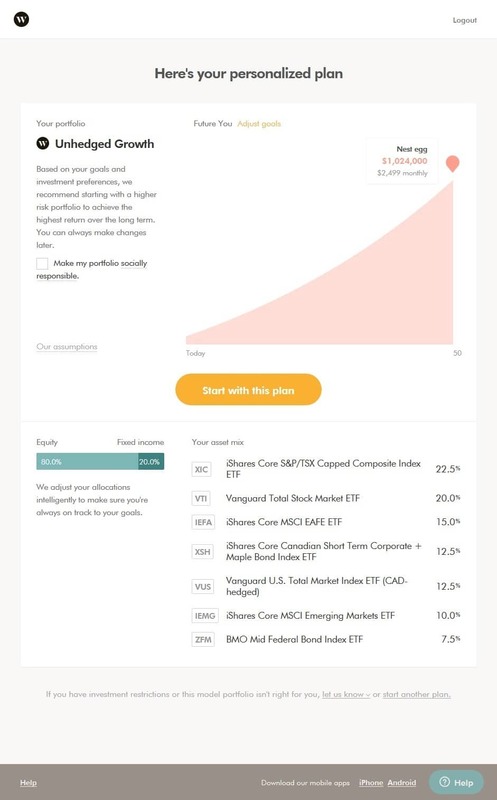 Completely new to investing – Those that are very new to investing and don’t have the time to track individual stocks can benefit from both the diversification model as well as help from Wealthsimple’s advisors.